Allie: What happens if a car comes? Noah : anda die. Allie: What ? Noah : Just relax. Just ______. anda need to learn how to _______. 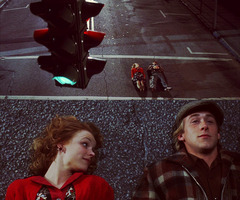 Noah & Allie // You're the closest to heaven that I'll ever be..